A self-contained breathing apparatus – SCBA is a respiratory personal atmosphere providing protective equipment used when the oxygen rate is below 19,5% volume (presence of asphyxiating gases or fumes), in presence of irritant gases or when the pollutant concentration is above 60 times its occupational exposure limit (OEL). What is a self-contained breathing apparatus? A self-contained breathing apparatus – also known as SCBA – is a respiratory protective device used in non-breathable areas (with low oxygen or in presence of toxic or asphyxiating gas). It operates just like scuba diving equipment. SCBAs are well suited for many applications (industry, confined space entry, rescue operation…). This high level respiratory protective equipment is compliant with the EN137 standard related to compressed air self-contained devices. They are mainly used in hostile work environments or for emergency and rescue interventions. This is a major part of the device. It maintains the compressed air cylinder and features a two-stage pneumatic system, a flow regulator and a gauge with an end-of-service alarm whistle. There are many types of gas masks such as harness masks, with head nets, with or without F1 mounting (direct mounting on firefighter’s helmet)… The face piece – usually a harness full face mask – will be chosen depending on the field of application and the potential hazard. Available in different capacities (from 6 to 9 liters) and pressure (200 or 300 bars), compressed air cylinders will be selected according to the necessary duration of use. They are made of steel or carbon fibers – lighter but more expensive. Each person who has to wear a self-contained breathing apparatus for professional purpose has to receive proper SCBA training. Many countries around the world have standards and regulations to ensure respirator training and safety at work. 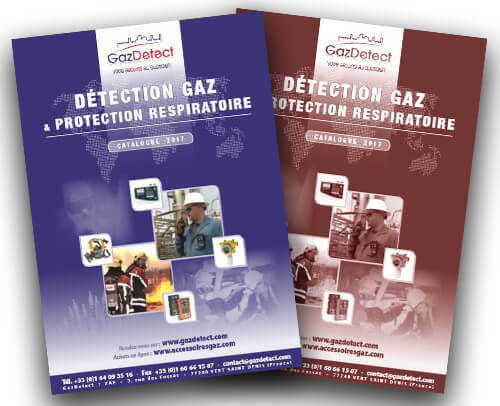 For selected territories we offer SCBA training on your site or in our facility in France (Paris area) with theory and practical modules. Our instructors are experienced firefighters and experts on using self-contained breathing apparatus. As it is lightweight yet rugged and robust, the PSS® 3000 is a next generation SCBA respirator especially designed for industrial applications and firefighters. The PSS® 3000 self-contained breathing apparatus is a high performing device that has been especially designed for firefighters and operators evolving in fire situations. As ease of use and efficiency are key elements in this kind of situations, the PSS 3000 has been engineered to be lightweight and easy to use. 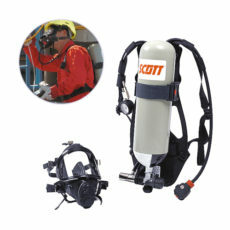 To date, this self-contained breathing apparatus is one of the most advanced device of this category on the market. As it is one of the world lightest SCBA respirator, the PSS 3000 is a combination of the best air supplying respiratory protection technologies. 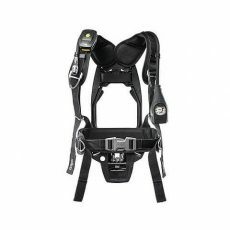 The harness and the backplate are particularly robust and resistant to mechanical, chemical or thermal wear and tear. Especially designed to be versatile the PSS 3000 maintenance is easy and fast. This way, all the key components of this device can be easily and swiftly removed and replaced. Moreover, medium pressure air supplying and manometer hoses are directly integrated into the backplate in order not to clutter up the user. This system also enables the device to be less cumbersome for interventions on confined spaces or difficult access areas for example. Lastly, in order to provide the best user experience, the hoses can be re-routed from one side to the other in order to fit the user’s preferences. The harness, key element of this SCBA respirator was thought to perfectly fit around the body of its user in order to reduce fatigue, back strain and stress. 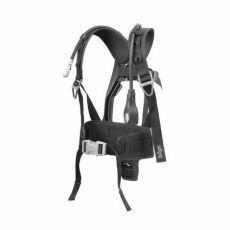 Very resistant, this harness features lightweight and flameproof buckles and adjustment straps that are resistant against wear and tear and rubber cover protections against potential schocks and impacts. The PSS 3000 self-contained breathing apparatus is available with a large range of respiratory protective accessories including the FPS 7000 panoramic SCBA mask that offers comfort and a large field of view. This range also includes compressed air cylinders equipped with TN type taps; rotating on-demand valve that follows the user’s movements or even the Bodyguard 1000 personal alert safety system also down as man down detector. Especially designed for industrial applications, the self-contained breathing apparatus R-Pas combines reliability, performance and comfort of use. Composed by an SCBA mask, a compressed air cylinder and a harness, the R-Pas complete set is provided in its carrying case. Especially designed for use in industrial applications, the R-Pas set is a self-contained breathing apparatus with reduced maintenance needs. It combines performance, reliability and comfort of use. Particularly lightweight and multifunction, this open-circuit SCBA is an ideal solution in presence of toxic gases or for use in poorly oxygenated environments. As it is compliant with the EN 137-2 standard, the R-Pas set is also recommended for fire interventions. Thus it is widely used by firefighters all around the world. Delivered complete in its high visibility orange carrying case, the R-Pas is part of the latest generation of self-contained breathing apparatus. It is composed by an SCBA mask, a compressed air cylinder and a harness. The harness is lightweight and easy to don. It is equipped with a factory pre-set flow regulator and a demand flow regulator. Thanks to its lightweight, antistatic and shock resistant design and rubber protection for the manometer, this harness is especially made for use in the harshest environments. Its harness is made of lightweight flameproof buckles, adjustable straps and rubber backplate highly resistant to chemical products. This way, the R-Pas SCBA is well-suited for fire situations. Moreover air supplying and manometer hoses are directly mounted into the harness backplate for better comfort. The SCBA mask included in the R-Pas set is made of elastomer for easy adjustment and perfect fit with any shape of face. Thanks to its dual airtight seal and a 180° visor, this respiratory protective mask offers an outstanding comfort of use and a large distortion-free field of view for an excellent peripheral view. Furthermore this mask is provided with a specific bag in order not to be damaged or scratched during transport in the carrying case. The compressed air cylinder that is also included in the R-Pas set is lightweight and robust. Made of lightened steel, this cylinder is equipped with an EN tap. Thanks to its 6 liters capacity at 300 bars, this compressed air cylinder provides clean air for approximately 40 minutes for safe interventions. The high visibility orange carrying case has been especially designed to carry the full SCBA R-Pas set, including the connected cylinder and is ready for use. The PSS 4000 is a lightweight self-contained breathing apparatus primarily dedicated to professional firefighters. Easy to don, the PSS 4000 offers an outstanding and efficient respiratory protection. 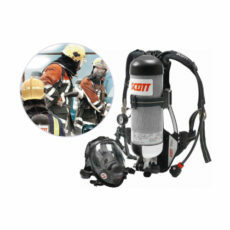 The PSS 4000 self-contained breathing apparatus is one of the world’s lightest firefighter SCBAs. Especially designed for use by professional firefighters, this device combines advanced technologies to provide breathing protection. Lightweight yet very robust, the PSS 4000 self-contained breathing apparatus is very easy to use. It is composed by a flameproof harness with fast and easy adjustment. Air supply and manometer hoses are integrated to the backplate in order to limit clutter and thus reduce risks of potential entanglement and snagging. Moreover these hoses can be easily re-routed on the left or on the right according to the preferences of the user. This way, the PSS 4000 self-contained breathing apparatus provides a real experience of use with improved comfort for the user. Engineered to be durable, the harness and the backplate of the firefighter SCBA PSS 4000 are made of composite materials ultra-resistant to heat, chemical products and potential impacts. The PSS 4000 has an ergonomic design as its shape perfectly adjusts to the body. Furthermore, the weight is perfectly balanced to offer improved comfort. 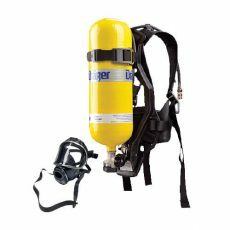 For easy maintenance and servicing, this self-contained breathing apparatus has also been designed to be easily dismantled. Thanks to its unique conception, it can be easily cleaned without excessive water absorption in order to reduce cleaning and drying time. The firefighter SCBA PSS 4000 also features a manometer with a backlit display mounted on the harness. An optional electronic manometer is also available to communicate pressure data wirelessly. Available in option as well, the Bodyguard 1500 personal alert safety system (PASS) can alert in case of prolonged motionless of the operator. This unit can also send data to other monitoring devices with wireless communication. 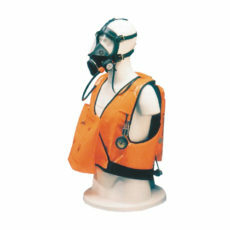 The PSS 4000 self-contained breathing apparatus is also fully compatible with a whole range of options and accessories such as steel cylinders or carbon composite cylinders, a large choice of lung demand valves, secondary supply hose connections, a twin cylinder configuration, a rapid charge system and so on.